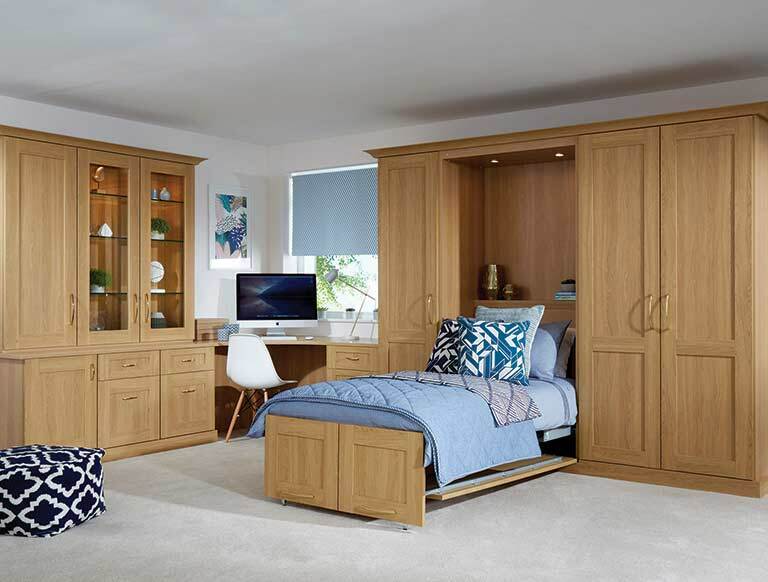 If you find yourself facing the tough choice between a home office and a guest bedroom, then our wall beds are the ideal solution. 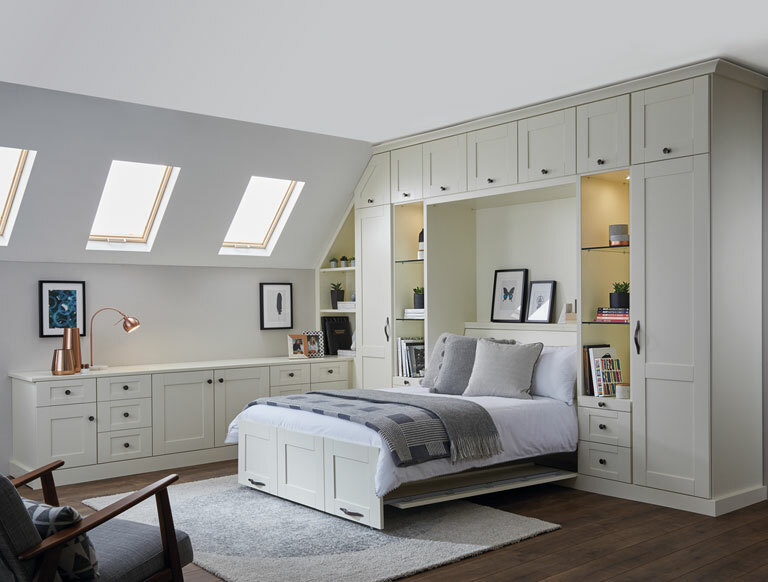 Foldaway beds can be discreetly hidden in a matter of seconds. 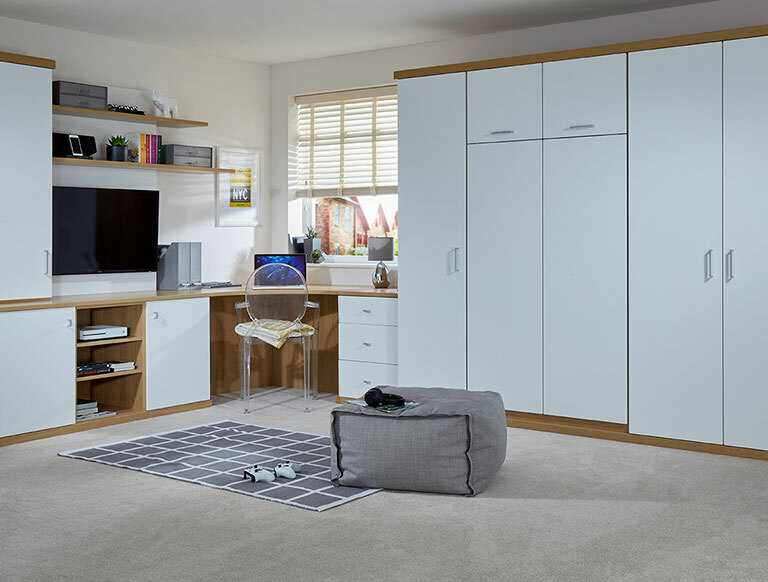 Welcome guests with an inviting, comfortable bed and watch the pull-down bed disappear behind out stunning units when not in use. 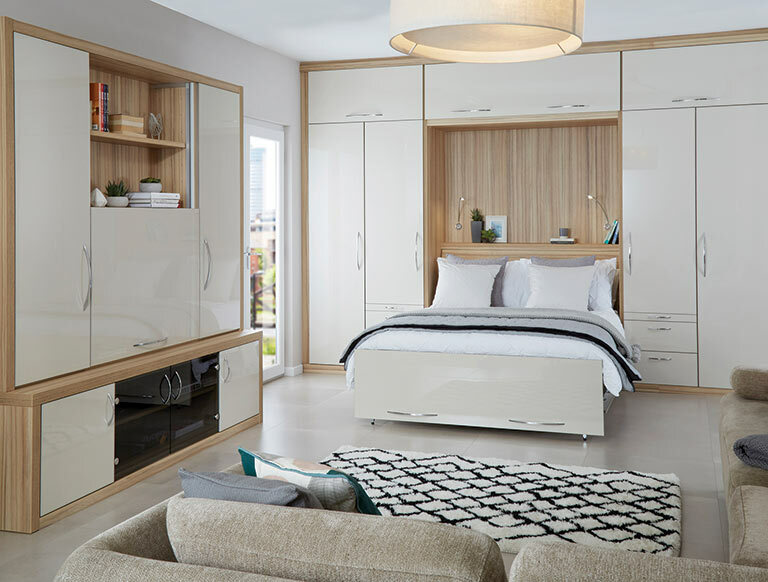 A Strachan wall bed allows you to make optimum use of your room’s space without compromising on the design. 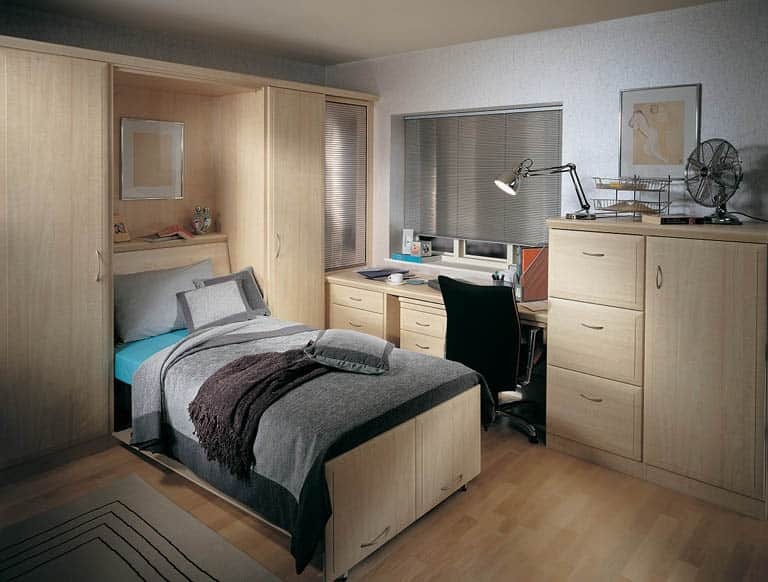 Enjoy both a home office and a guest bedroom in one, when you have a fitted wall bed. 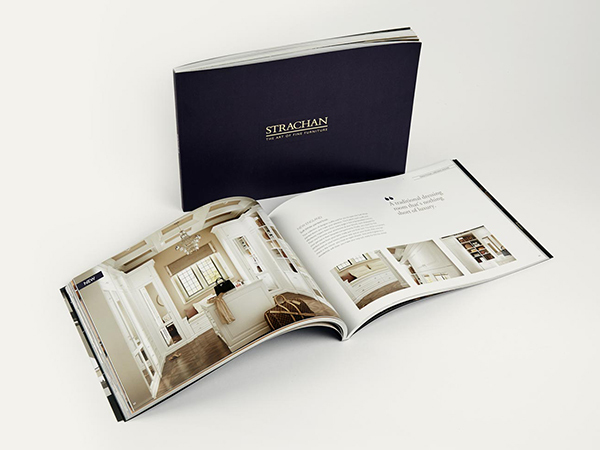 There are no complicated mechanisms with a Strachan wall bed. 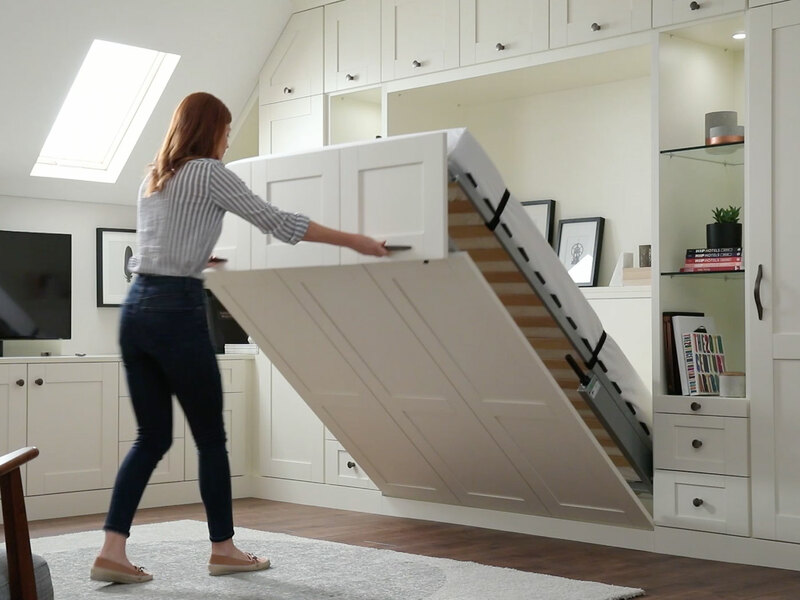 All you need to do is pull on the handle and in just 20 seconds your room will be transformed with a beautiful bed that can be folded away again, when not in use. It's so quick and simple that anyone can do it. With a luxurious mattress and a reliable frame, your fold away bed will provide your overnight guests with a comfortable place to rest. Our fine finishes and elegant designs create a warm atmosphere that visitors of any age will enjoy. When your wall bed isn’t in use, you’ll hardly even notice it’s there. 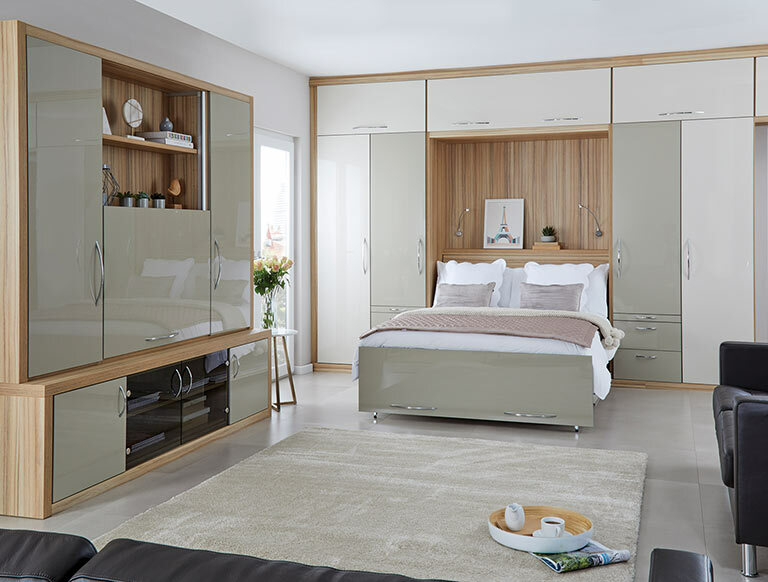 The whole bed disappears inside the carcase of your wardrobe unit, seamlessly blending into your room’s design and keeping the bed completely hidden from sight, within your wardrobe design.